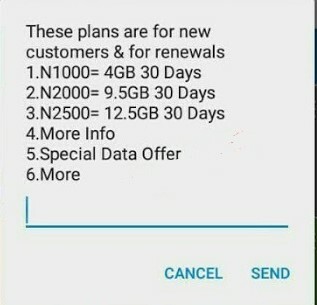 Glo had just recently reviewed their data plan , making their data plan more friendly as N1000 now gives you 4GB , N2000 gives 9.5GB and N2500 now gives 12.5GB . This changes is only available to new subscribers and those that auto-renew their data plans . Glo are trying to hold their title as the grand masters of data , but i think they still need to improved in their network to serve customers to the fullest . N1000 give 4GB upon renewal valid for 30 days . N2000 now gives 9.5GB upon renewal valid for 30 days. N2500 now gives N12.5GB upon renewal valid for 30 days.